The paddle shack is run by AB Friluftsentreprenörerna SGU, a company founded by Jan and Erik back in 2004 after studying and working the outdoors together for 7 years. In 2007 we were joined by Leif, hailing from a family of exploring adventurers. Over the years the company has had many shapes and purposes. Right now we all have day jobs as outdoor educators. In contexts such as youth work or teaching outdoor and leadership skills to wilderness guides or outdoor photographers. The paddle shack is our try to get as close as we can to our vison of a healty guide owned guide operated business. Family, time, needs, values, nature, seasons... all matter and we try to evolve with our selves somehow. 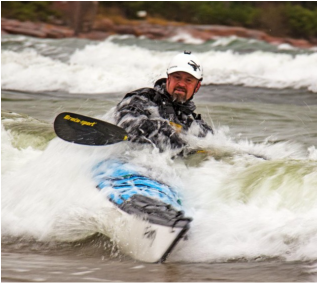 Jan Kankkonen is an Åland native and he knows these kayaking waters like no other. Jan is into martial arts this reflects in his cat like kayaking skills. Jan is NIL sea kayak instructor and Wilderness First Responder. Erik Rudels really enjoys coaching sea kayaking at all levels and has been doing this since 2000. In his spare time he rather take to the waters in a sailing boat. 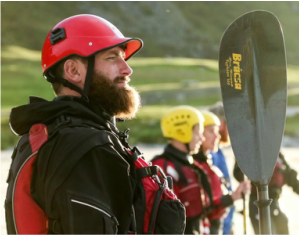 Erik is NIL sea kayak instructor/assessor and BCU 5* and Wilderness First Responder. Leif Höglund is also a certified NIL sea kayak instructor and Wilderness First Responder. He is very fond of expeditioning and the one who actually gets out there. Lately he has been seen with his camera more and more we think this is due to his day job teaching expedition skills to nature photographers. 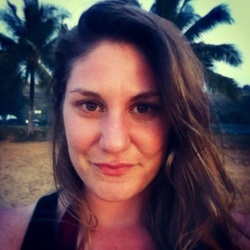 Carolin works mainly with social media and paddelboden.com but you can also meet her working the rental or out on a SUP board. Carolin loves playing in waves, if it's on Åland, in Lofoten or the tropics does not really matter.